A few weeks ago, I shared a post on how I am taking charge of my health. Going off of that I want to share 10 ways to live a well-balanced lifestyle. Living a well-balanced lifestyle will make you a much happier, and healthier person. 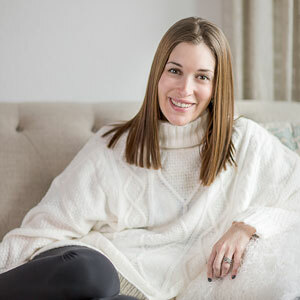 Listen to your body: I shared about how I listen to my body, go to the doctor when I need to (yearly), and take different supplements and vitamins. A lot of these are preventative and because I noticed something my body was lacking that I needed. I mentioned that I take AZO Complete Feminine BalanceTM Daily Probiotic. I find that it really helps protect my feminine health. 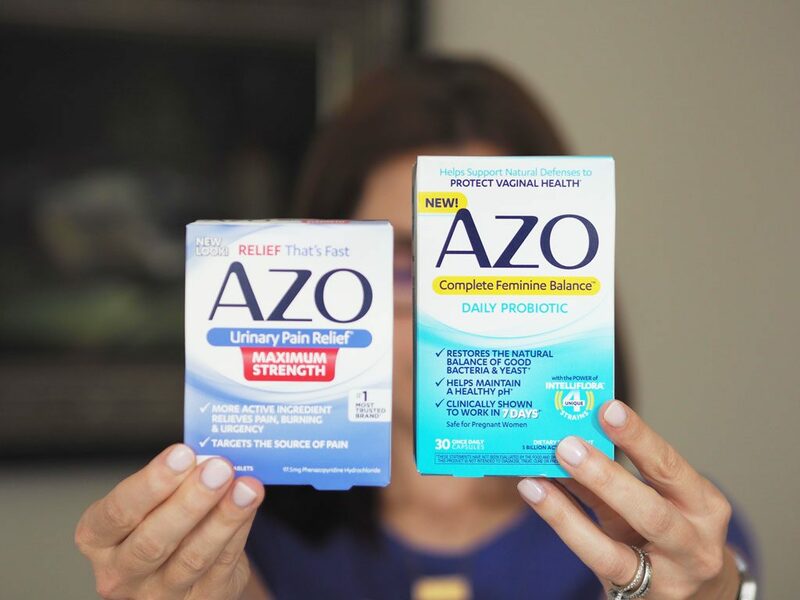 AZO Complete Feminine BalanceTM Daily Probiotic is beneficial to all women and is specifically formulated to help maintain an optimal pH and restore balance of good bacteria and yeast. Meditate/Yoga: I do these on top of my regular workout routine because I find they really help my mental health a lot. Meditation is GREAT for people with anxiety and really relieves stress and helps you refocus. Yoga is great for all sorts of body issues you may have as well as mental well being. Find a workout routine that works for you: I would love to be a runner, I’m just not. I would love to enjoy CrossFit, I just don’t. That’s OK! I love barre, yoga, the elliptical and stair-master and I love weight lifting. So those are the things I do! I also love to swim laps when I can! Eat well but don’t deprive yourself: I love me a good pizza. When I want pizza I have pizza. But I won’t also eat fries, cookies, and drink alcohol that day. For the most part 7 days a week I eat a healthy breakfast, and lunch. 1-2 nights mostly on weekends I will eat homemade pizza (which is whole wheat and has not one bad thing in it) or maybe we will get Mexican food etc. So I try to live by the 80/20 rule which I have talked about a TON of times. Have alone time: I am what they call and introverted extrovert. I love being around people and I can talk to a wall. But I have to decompress. I need time alone, I need downtime. Make sure you have it too. Focus on self-care: This is different for everyone and I know the term self-care is all the rage, but self-care is important. It’s important to take care of yourself because if you don’t how do you take care of others? Especially moms! Spend time with those who bring out the best in you: There is the term about how you are the sum of the 5 people you spend the most time with (yes I butchered that). But it is so true. When you are around negative people you become negative. When you are around positive people you become more positive! When you are around people who encourage your dreams and lift you up you will fight for those dreams. Start everyday grateful: When I have a bad day I try to go to bed reminding myself to start the next day grateful. I also say over and over “today is a great day to have a great day.” Then I list all the things I am grateful for in my life. Kind of hard to be crabby when you realize how much you are grateful for. Find a hobby you love: For me this is blogging and that hobby turned into my dream career. I also love to read, organize, and spend time with my people. What is something you love? Love yourself: In the end the best thing you can do for your health and to live a well-balanced life is to LOVE YOURSELF. If you don’t love yourself you can expect anyone else to. These are the types of things I do to live a well-balanced lifestyle. What do you do to live a well-balanced life? These are very insightful. Thank you for sharing this. I love pointer number 8 especially. Been reading a lot about practicing gratitude lately. I loved your post! I am trying yoga this Thursday with a friend for the first time and I am very excited! Balance is so important, especially when you work as a blogger and work can consume you 24/7! Those probiotics sound great! Great list! I’m definitely with you on working out, having alone time (I’m more of an extroverted introvert, haha), being grateful, and spending time in good company! :]! Love love love this post. I am trying so hard to eat a bit more balanced. My husband and I are starting with no eating out unless it’s weekends, and trying to do alcohol (wine or beer typically) only 3-4 days of the week and obviously not in excess. I have started practicing yoga at home so that maybe I won’t feel embarrassed going to a yoga class. The most important things on here in my opinion are taking time for yourself and loving yourself. With my anxiety taking time for myself is SO important, it’s often in the form of a bath and reading so that I can detox and bit. I love “eat well but don’t deprive yourself.” I have the same motto. I think a lot of people are on the extremes. For me, it helps to indulge once in a while why still generally eating as healthy as possible. I hadn’t heard of this brand before, but I may have to give it a try. 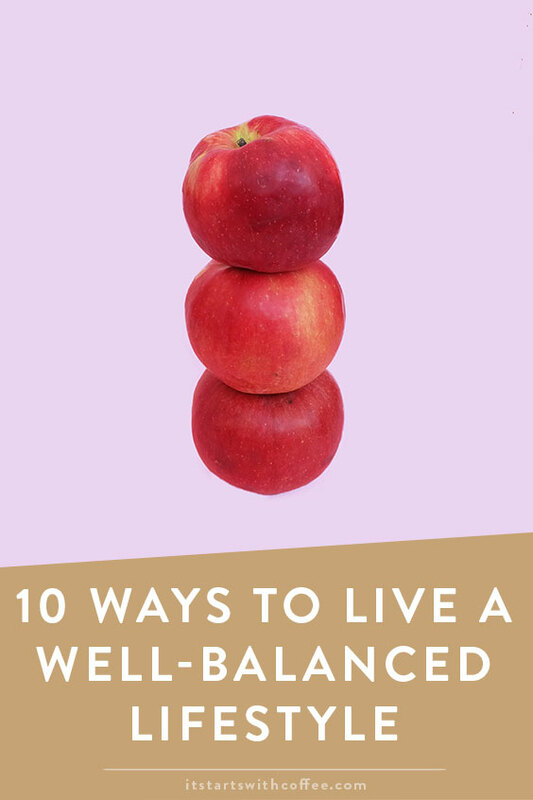 I do love your 10 ways to live a well balanced lifestyle, they are great tips! I believe in keeping balance, but these days life has been pretty hectic! I cannot wait to focus on balance again. These are all great suggestions! I always try and stay positive and get exercise. I try and eat healthy but sometimes I don’t meet that goal. Balance is the most important thing. No extremes. Gratitude makes a world of difference! Thanks for the important reminders and suggestions. As a mom to young children, it’s hard to find that alone time. However, I NEED it to stay balanced. Having balance in our lives is so important as well as you spend time in taking care of yourself, thanks for sharing these great tips with us. I love love Azo, they’re such a great brand! I’m also big into self-care this year and I can tell it’s making a huge difference – and many people close to me agree, yay! Such great reminders! 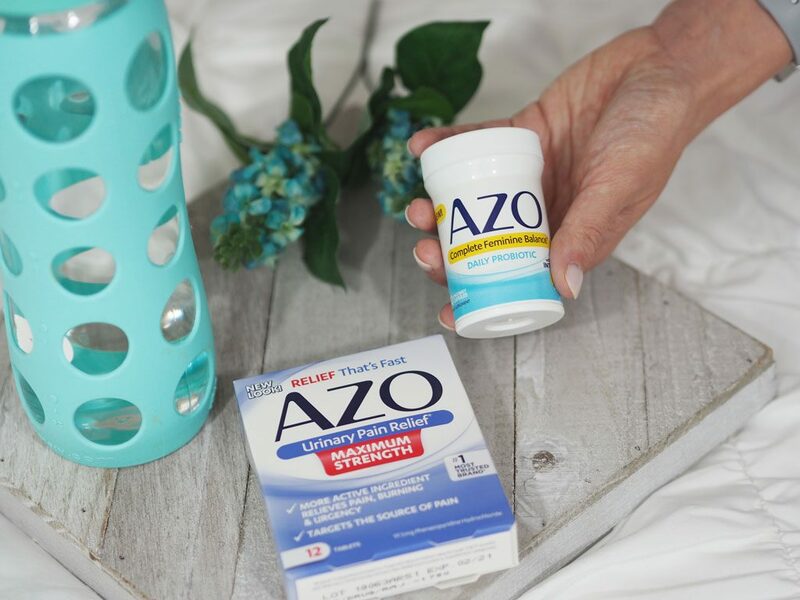 Azo has always made the best products for female issues! Looks like another good one to try. I keep hearing about probiotics. I haven’t tried one. I am going to have to gie it a try. Probiotics are so important! I like the idea of the feminine balance part. 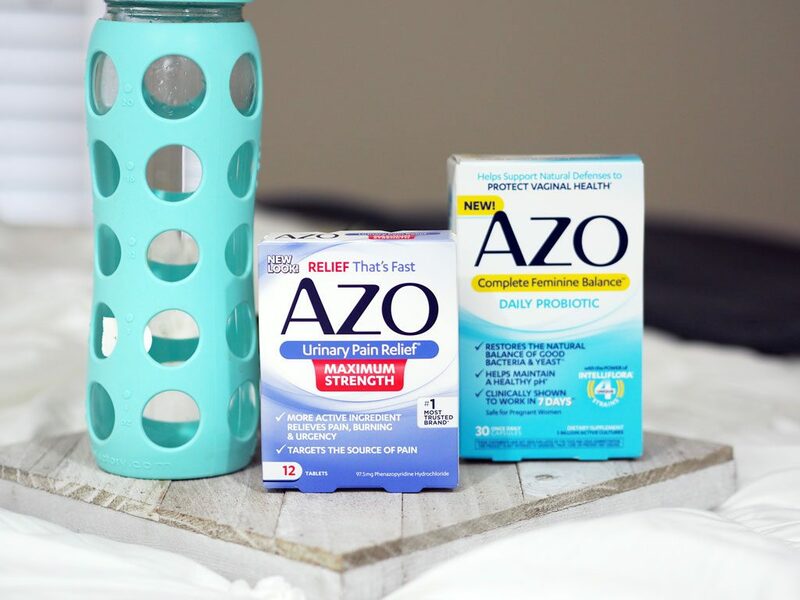 I already take one that is geared towards tummy issues, but I wonder if I would see benefits if I rotated the AZO one with my current one? So far the only vitamins I take are multivitamins. I really haven’t considered taking probiotics since I didn’t know it is essential for our health. I’m glad that you gave me an idea to try it. Perfectly said. Pro-biotics are getting popular these days and my personal exp, its good sometimes in infections instead of Anti-biotics. Never thought as a supplement but make sense..
Hey Neely, Nice to read you blog and the posts you write over here. Very informative and interesting. Keep it up – with Regards!